Ekiti State governor Mr. Ayodele Fayose has accused the ruling All Progressive Congress (APC) of investing over $1 million in the Senator Ali Modu Sheriff proposed national convention. “This is being done so as to sustain the party’s plot to turn Nigeria to a one party state,” Fayose said in a statement. The governor who spoke through his Special Assistant on Public Communications and News Media, Mr Lere Olayinka, said there would not be any meaningful reconciliation with somebody like Senator Ali Modu Sheriff who, he accused, was working for political interests different from that of the PDP. 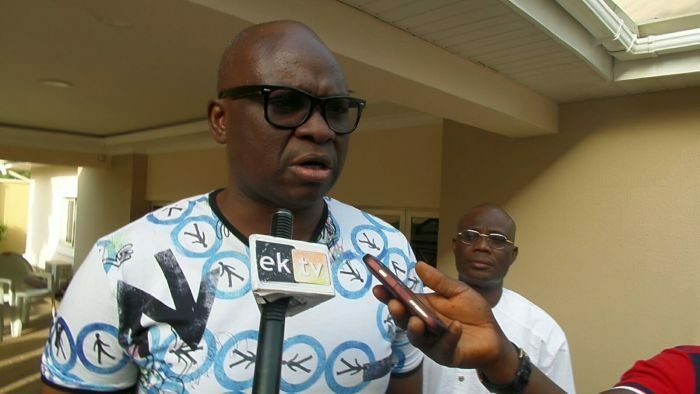 0 Response to "APC Gave Ali Modiu Sheriff $1m for Proposed PDP Convention, Says Fayose"